Elite Tri-Stay Exclusive - DGS Group Plc. Elite Tri-Stay Fire Escape, Easiclean and Safety Restrictor all in one. An exclusive product by DGS. The Elite Tri-Stay premium friction stay covers fire escape, easiclean and safety restrictor all in one, with high security and improved weather sealing. 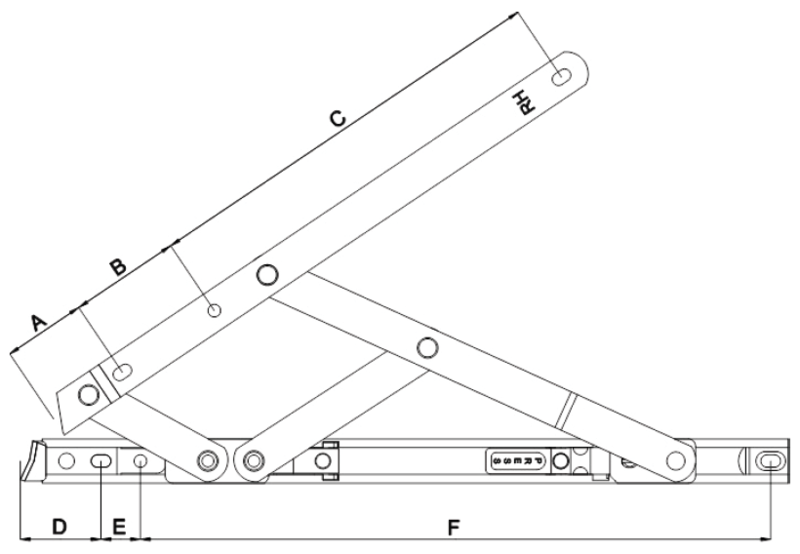 Available in both Ferritic and Austenitic Steel Options. Specifications for 13mm and 17mm Stack Height. 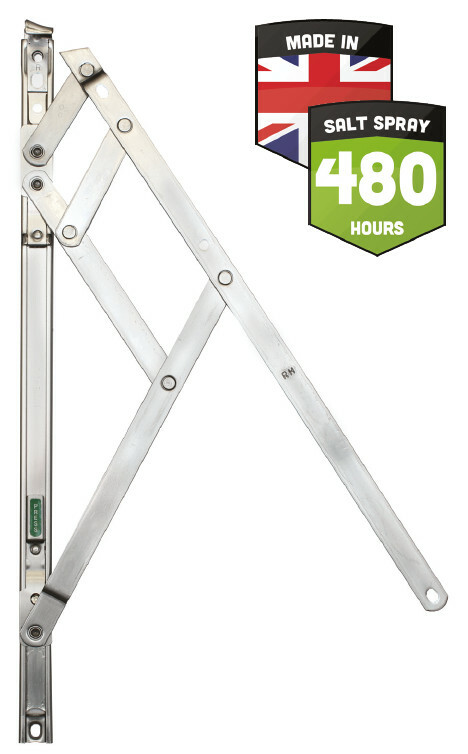 Elite Tri-Stays, Austenitic Fire Escape, Easiclean and Safety Restrictor all in one. The Austenitic version of our Elite Tri-Stay friction stay. An exclusive product by DGS. 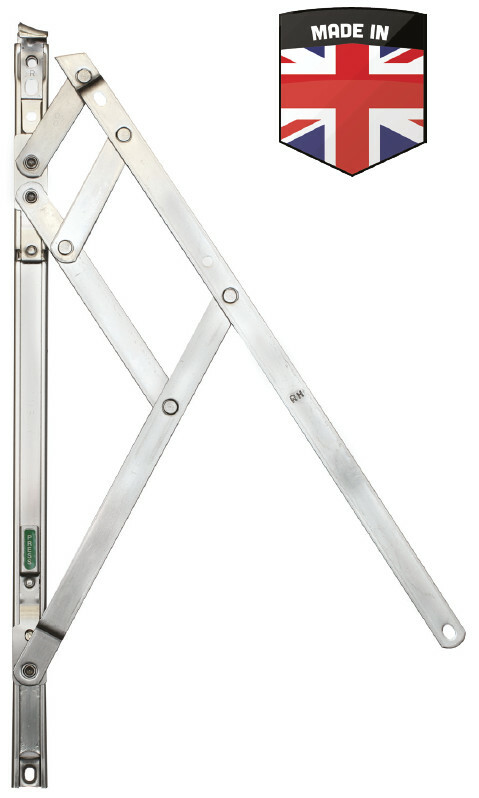 This premium friction stay covers fire escape, easiclean and safety restrictor all in one. With high security and improved weather sealing this friction stay has 480 Hours Salt Spray Endurance on our Austenitic Type 304. Tested to EN ISO 9227:2012.